Just yesterday I had to shortened hubby's jeans and when I finished it I thought about sewing the kitchen towels I found in Red Cross second hand store about 2 months ago. I found a very interesting inspirations in one of Mollie Makes magazine about a woman who turned old kitchen towels with bold nice pictures. And I want to make them too, so when I score some kitchen towels in Red Cross second hand store I know I had to buy them. 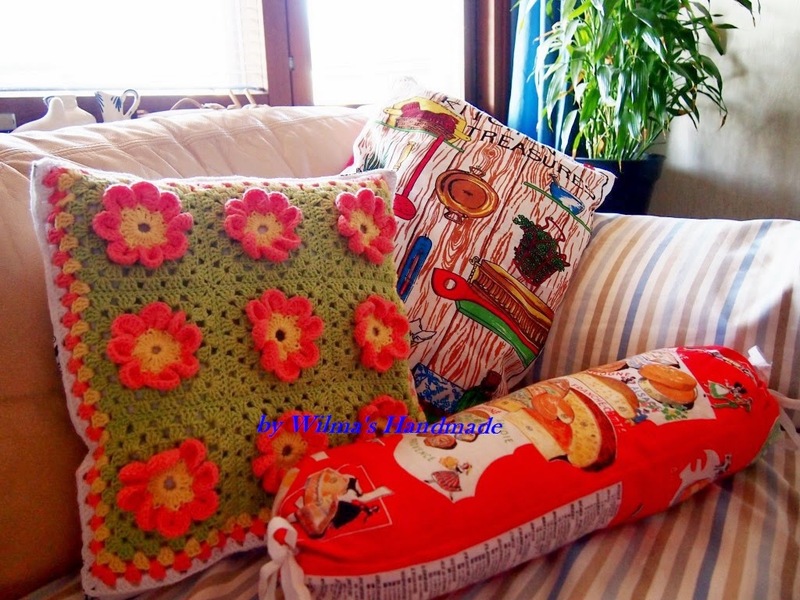 Here is a picture of the three pillow cases I made yesterday. The crocheted one I finished sometime ago but have just finished it into a case. While the other two are the ones from kitchen towels I found. I choose red and yellow buttons to add more interest to it and sew it with embroidery thread. 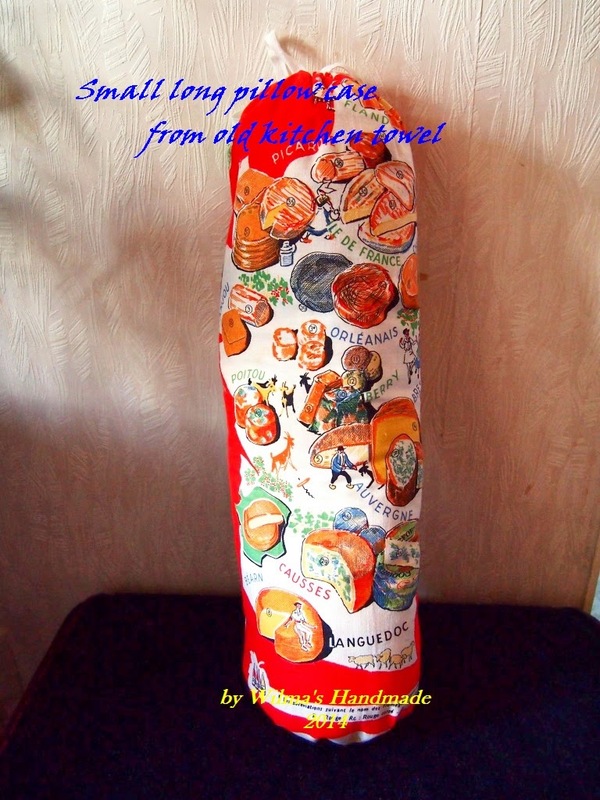 I love the picture in this kitchen towel, it's about cheeses from all over France.